Skanda Shasti or Kanda Shasthi is a most important festival dedicated to Lord Muruga or Karthikeya. It is observed in the month of Aippasi (October-November) and commemorates the victory of Lord Skanda over the Demon Surapadma. One should try visiting all the 6 abodes of Muruga atleast once in the lifetime to get the Lord's grace bestowed upon you! Skanda Sashti, the sixth day in the bright half of the month of Aippasi (Oct 15 - Nov 15), is celebrated in the Shaivite temples across Tamil Nadu, and with an extra measure of grandeur in temples dedicated to Subramaniya. Skanda Sashti commemorates the destruction of evil by the Supreme General Karthikeya, the younger son of Shiva, and is celebrated with the dramatic enactment of “Soora Samhaaram” (a play where Muruga kills the demon). Mention must be made of the grand celebrations at the special 6 abodes of Lord Muruga. This is the story of the birth of Skanda or Kumara and the fulfillment of the purpose of His divine incarnation. "Tormented by the asura (demon/anti God) Sura padma, the devas with Indra as the leader, went to the world of the creator" (dated back to the history of Kumara Sambhava 2.1) The creator said “only the spark of Shiva can produce the hero who will defeat the powers of the evil" Unfortunately, Shiva The king of the yogis was lost in a deep state of meditation. None of the Devas dared to disturb him... least of all convince him to create a progeny. The penance of Parvathi and the sacrifice of Kama paid off. Shiva was aroused from his Samadhi. However, none could bear the sparks of His fiery seed. Thus Saravanabava was born. He was also Skanda - Shiva's power of chastity preserved through penance. Skanda was raised by the six mothers of the divine constellation of Krithika (Pleiades). Karthikeya divided himself into six babies to be nursed by six mothers. When Parvathi gathered all the six babies, He became Shanmukha - the one with the six faces and one body. Shanmukha became Kumara - the powerful virile adolescent who was also the beautiful and the handsome (Muruga). Indra was restored to his kingdom and gave his daughter Devayanai or Devasena in marriage to Skanda. In order not to discriminate between the rich and the poor, Muruga also married Valli the gypsy damsel. Corresponding to the six days of the war over the evil forces, devotees undertake fasting, prayers and devotional singing to Lord Muruga. 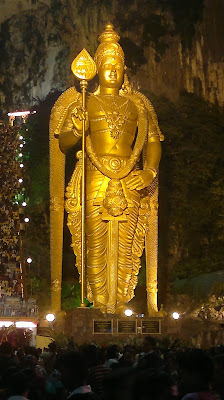 The 6 abodes of Muruga overflow with crowd during this period, to attain his divine grace. Lord Muruga, the younger brother of Lord Ganesha, is the protector of our earth plane. He has always been concerned about the progression of human beings and the planet earth we live in. Muruga is also the Lord of the Pleiades (A star cluster in the constellation Taurus). Lord Muruga is associated with the birth star Krithika; a very precious birth star. Thus, he is an epitome. He represents the primordial energy and force in its own imagery. Muruga is also addressed as "Lord Subramanian/ Aarumugam (the six faced deity), Karthikeyan, Muthu Kumaran" and so on. As per the myths and Indian epics, he is well known for having played a major role in taming the humans towards a higher life. He is basically a celestial warrior, constantly involved in killing demons that prevent good things (the grace of light) from entering the earth plane. It is believed that during the Nine Nights of the Goddess (Navaratri), the three goddesses Durga, Lakshmi and Saraswathi get involved in destroying the dark forces; and from the start of October, Lord Muruga takes over - Lord Muruga the Protector and Guardian Angel for our peaceful living! At the entrance of Pazhamudircholai there is a temple called Azhagar Kovil; the deity being Lord Vishnu in the form of a protector, safeguarding Lord Muruga. Pazhamudircholai is a hill, which is rich in fruits, vegetables and flowers. It is a dense forest where "Valli" is supposed to have lived. It is a small temple with Valli, Deivanay, and Lord Muruga in a separate shrine. Lord Ganesha is also present in a separate shrine. There is a Temple Tower and monkeys play around the area. There is another small temple above Pazhamudircholai. Local tribes lead their lives here. It is a fertile hill with many natural springs and herbs. Although there are hundreds of Temples in Tamil Nadu for Lord Muruga, particularly these six temples called the "Arupadaiveedu" are very famous among them. 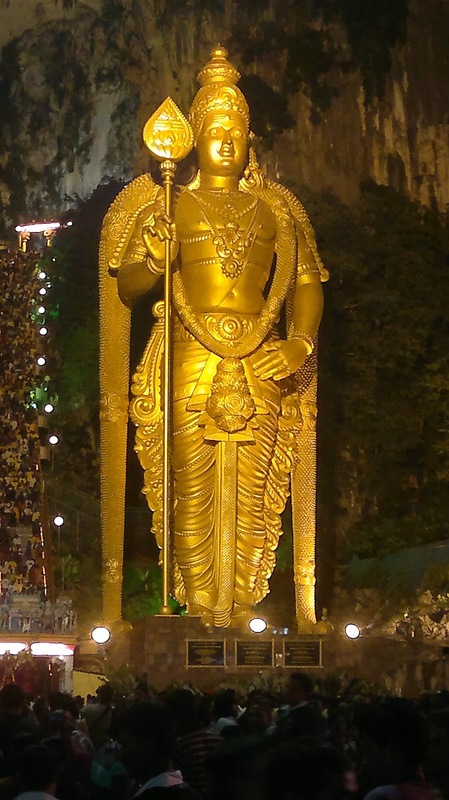 Important events in Lord Muruga's history happened in these places. Among the Arupadaiveedu (Six Temples), Pazhamudircholai is said to be the last abode. The great Tamil poetess and saint Avvaiyar had been tested for her knowledge by Lord Muruga here by an intelligent play. It is believed that the play took place in this abode dedicated to Lord Muruga. Here is where Lord Kanda blessed the old Tamil Poetess with bountiful knowledge. Significance: Swamimalai Murugan Temple is a Hindu temple located near to Kumbakonam and Thanjavur in India. It is one of the "Arupadaiveedu", believed to be one of the six main abodes of Muruga. According to Hindu belief, Swamimalai is where Muruga preached; what is called as "Pranava mantra" to his own father, Shiva, at a tender age, after arresting 'Brahma' for not answering his question about Pranava Mantra.